Download our free Design Guide to get you thinking and planning your next outdoor living space. We’ll ask you important questions and provide expert insight to guide you as you make your backyard dream a reality. Contact the Archadeck of Nashville team today to set up an appointment to have one of our professionals comes to your house for a free design consultation. They will show you examples of past projects; discuss custom designs; talk about your needs, style and taste; and go over budget considerations. Our friendly representative will take measurements and photographs of your home and/or the land on which you wish to build. If you choose to look into our custom options, our team of experienced designers will use those pictures to ensure that your particular aesthetic is kept consistent, and that the emerging project is the one you’ve envisioned. While you dream up ideas for the ideal outdoor living space for you and your family, why not download our free design guide for inspiration? Answer some questions to help us customize it to your needs and give us further insight into what you are seeking. 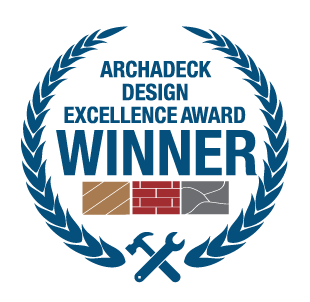 Archadeck’s decades of experience in the field have garnered national recognition and resulted in thousands of satisfied customers and as many beautiful projects. Call or click today to schedule a consultation with one of Archadeck of Nashville’s experienced representatives and peruse the design guide for great ideas. Take the steps today to turn your backyard dreams into a reality!